Following in the footsteps of the masters, The Sandy Ridge Boys play traditional, straight-ahead bluegrass, along with interesting twists on some familiar old favorites. 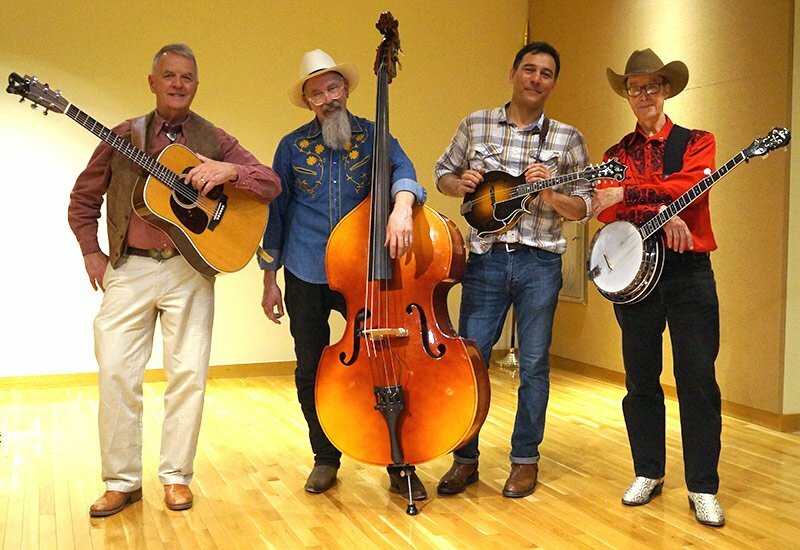 With the standard assemblage of instruments, featuring banjo, dobro, fiddle, guitar, mandolin, and bass, they recreate the sounds of Flatt & Scruggs, The Stanley Brothers, Jimmy Martin, and even Chuck Berry, as well as many of the contemporary bluegrass bands playing today. To contact The Sandy Ridge Boys to play at your event, just click here.